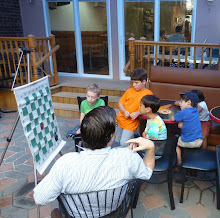 Tomorrow through Labor Day, the 61st New Jersey Open chess tournament will be held at the Somerset Ramada Inn. On Monday, the New Jersey Knockouts drew their inaugural match in the U.S. 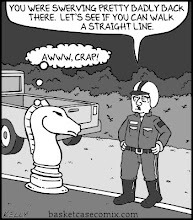 Chess League. My 12-year-old chess student Ziping Liu had been in a slump since the World Open in July. But he regained his form this past Sunday by winning his quad at Westfield with 2 wins and 1 draw. Ziping's most tactical position occurred in his victory as Black against Patrick Mazzillo. Patrick has just played 11.h4. Ziping now answered with 11...exd4 12.Nxd4 Nxd4 13.Qxd4 Nxe4! and won without too much difficulty after 14.Qg1 Nxc3. 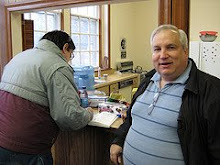 Congratulations to Michael Goeller of The Kenilworthian for winning an Honorable Mention in the Best Review category from the Chess Journalists of America in 2007! Here is Goeller's award-winning article. Tonight, at Lincoln Park, the New Jersey Knockouts play their first match against the Queens Pioneers in the U.S. Chess League. 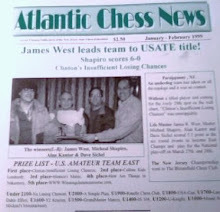 Today's chess column in The New York Times features a victory by New Jersey international master Dean Ippolito. I celebrated my birthday by drawing the following Philidor Counter Gambit at an all-masters Viking Quad in Mount Arlington, New Jersey. 56.Kf6 Kb5 57.h3 Ka6 58.Be1 Kb5 59.Ke5 Bf5 60.Kd6 Bxh3 61.Kc7 Bg2 62.Bd2 Ka6 63.Be3 Bf3 64.Bc5 Be4 65.Be7 Bf3, draw. Frederic Fournier [FIDE 1907] of Paris in France, homeland of Francois Andre Philidor in the 18th century, has started his own blog on the Contre Gambit Philidor (a/k/a Philidor Counter Gambit). Although there are no known examples of Philidor playing his own defense, the following game comes close. The only difference is that White does not develop his knight to f3. What makes this victory remarkable is that Philidor played it blindfold as part of a simultaneous exhibition! This position is similar to one that could arise from the Philidor Counter Gambit. Both players have completed their development. Although the overall position is approximately equal, Black has an advantage in the center where White's dark-squared bishop is a "tall pawn" forced to blockade Black's passed e-pawn. Black's more active rook and better minor piece give him the better chances in this endgame. The connected passed pawns are difficult to stop. 44.d6 Rd2+ 45.Kf1 Kf7 46.h5 e3 47.h6?? f3, White resigns. Bruehl missed 47.Rd7+ Kf6 48.Rd8 with a likely draw. Philidor "saw" everything! 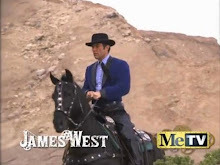 My post on the Caro-Kann has gotten many "reads" at Jim West Talks Chess. To date, there have been 186 "reads" of my post on the Philidor Defense at Jim West Talks Chess. One of them was by Atomic Patzer. Another post with many "reads" at my Jim West Talks Chess blog is this one, on the French Defense. Today I scored 3-2-0 in a game/30 Swiss at the Marshall Chess Club. Here are my three wins, including a couple of king-and-pawn endings that would probably have been drawn except for my opponents' time pressure. 15.c5? Bxc5 16.Nxe5 Bxf2 17.Nxc6 Nxc6 18.Bf4 Bb6 19.Rc1 O-O 20.Kc4 Rfe8 21.Bd3 Ne5+ 22.Bxe5 Rxe5 23.Rhf1 Rd8 24.Rf5? Rd4+ 25.Kc3 Rxf5 26.exf5 Rxh4 27.Re1 Kf8 28.Be4 a4 29.Bxb7?? Ba5+ 30.b4 axb3+, White resigns. 21.Kg1 Rxf1+ 22.Rxf1 Rxf1+ 23.Bxf1 h6 24.g3 Bf5 25.Bg2 Qe6 26.a3 Bg6 27.Kf2 Qd5 28.c4 Qxc4 29.Bxe4 Bxe4 30.Qxe4 Qf7+ 31.Qf3 Kg8 32.Qxf7+ Kxf7 33.Ke3 b5 34.g4 g5 35.h3 Ke6 36.Ke4 a6 37.c3 a5 38.Ke3 Kd5 39.Kd3 c5 40.dxc5 Kxc5 41.Kc2 Kc4 42.Kb2 Kd3 43.Kb3 Ke3 44.a4?? bxa4+ 45.Kxa4 Kd3 46.Kb3 a4+ 47.Kxa4 Kxc3 48.Ka3 Kd3 49.Kb3 Ke3 50.Kc3 Kf3 51.Kd3 Kg3 52.Ke3 Kxh3 53.Kf3 Kh4 54.Kf2 Kxg4 55.Kg2 h5 56.Kh2 h4 57.Kg2 Kh5 58.Kh3 g4+ 59.Kg2 Kg5 60.Kf2 Kf4 61.Kg2 h3+ 62.Kh2 Kf3 63.Kg1 g3 64.Kh1 g2+ 65.Kh2 Kf2,White resigns. 16.Qxd5 exd5 17.Nxe7+ Nxe7 18.Bc5 Rfe8 19.Bd6 Rac8 20.c3 Nc6 21.Rfe1 d4 22.Rac1 h6 23.Re4 dxc3 24.Rxc3 Na5 25.Rxc8 Rxc8 26.Kf2 Rc2+ 27.Re2 Rxe2+ 28.Kxe2 Nc4 29.b3 Nxd6 30.exd6 f6?? 31.d7, Black resigns. Earlier today I participated in the Hamilton quads where the following game was played. 16.Ng5 Bxe2 17.Bxe2 Nhf4 18.Nxe6 Nxe2+ 19.Qxe2 Rxe6 20.Rfd1 Bf8 21.Rd3 Ree8 22.Rad1 Rad8 23.a3 Be7 24.Kf1 Rxd3 25.Rxd3 Rd8 26.Rxd8+ Qxd8 27.Qc2 Bg5 28.Bxg5 Qxg5 29.h3 Qd8 30.Ke2 Qd4 31.b4 Kg7 32.Qd3 Qb2+ 33.Kf3 h5 34.h4 Qc1 35.g3 Qh1+ 36.Ke3 Qe1+ 37.Kf3 Qh1+ 38.Ke3 Qe1+ 39.Kf3, draw. In the April-June 2006 issue of Atlantic Chess News, I analyzed Damiano's Defense, arriving at the conclusion that it was refuted. But Sam Sloan made an attempt to revive the line in round eight of this year's United States Open chess tournament at Cherry Hill, New Jersey. Obviously, Black can not play 12...Bxb7?? and allow 13.Qf5#. White has already missed several easy wins including 12.h5+ or 13.e5. He misses another one now with 15.O-O-O Bb4 16.Qxa7 Bxc3 17.Qa3 Be5 18.d4. Up an exchange and a pawn, White is still clearly winning. Now it is Black who is winning, thanks to White's careless 26th move. Instead, 26.Qb3 would have won easily for White. 28.Re1 Bf5 29.a3 Bd6 30.Kb3 Nf4 31.d4 Nd3 32.Rf1 Kh5, White resigns. On 33.g3 Bh3 34.Rh1 Nxf2, White loses more material. The post with the most "reads" at my Jim West Talks Chess blog is the one on the Pirc Defense. At my Jim West Talks Chess blog, these are some posts on the Philidor Counter Gambit: here, here, and here. At my other blog Jim West Talks Chess, I have posted entries on the Fajarowicz Variation in the Budapest Gambit, here, here, and here. Kirk outplays Spock in a game of three dimensional chess. In today's issue of The New York Times, chess columnist FM Dylan McClain refers to "a rare variation of the Pirc" where Black "did not fianchetto his black-squared bishop." I might have called it a Philidor where White did not develop his king knight to f3! A dozen players participated in today's game/30 Swiss at Cherry Hill, New Jersey. Five, including myself, were masters. My final score of 4-1-0 was good enough to win second place prize money of $75. 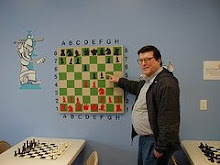 The only game I lost was to Michael Katz (USCF 2232) who swept the field with a perfect score of 5-0-0. It was a tournament of many upsets. So, in at least one game, I got paired against a lower rated player who had defeated a master in a previous round. Consequently, in none of my victories was the other player rated above USCF 2000! The following game illustrates a common theme in my four wins: my opponent dropping a piece. 12.a4 b4 13.Nd5 Nxd5 14.Bxd5 Rb8 15.a5 Rb5?! 16.Bc6 Rb8 17.Qe2 Qc8 18.Bxd7 Qxd7 19.Qxa6 Ra8?! 20.Qd3 d5 21.Bb6 Rfc8 22.Rad1 d4 23.c3 bxc3 24.bxc3 Rxc3?? 25.Qxc3!, Black resigns. Lev Zilbermintz recently played the following quick draw in the Philidor Counter Gambit. The position after 3.Bc4 f5 is also known as the Lopez Counter Gambit. 1. e4 e5 2. Nf3 d6 3. Bc4 f5 4. d3 Nf6 5. Nc3 c6 6. Bb3 Na6 7. h3, draw. 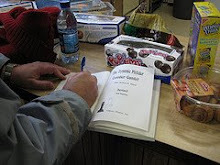 Michael Goeller of The Kenilworthian posted a nice article on Sidney Bernstein and his book Combat: My Fifty Years at the Chessboard. It was 25 years ago this month that I had the tournament of my life at the Bar Point in Manhattan. In round one, I sacrificed a pawn as Black and beat IM Israel Zilber (a/k/a "The Sheriff" in Searching for Bobby Fischer). My next game was as White against Bernstein, and I defeated his unusual defense in the Ruy Lopez. Next, in round three as Black, I survived a piece sacrifice by future IM Jay Bonin and won an undeserved victory. So, here I am, paired as White against GM Michael Rohde (a game I wound up losing), bragging to Bernstein about my above-average performance. He quickly put me back in my place by telling me of a quad that he won 3-0 as a young man. As I recall, Bernstein's three opponents were Reuben Fine, Anthony Santasiere, and Arnold Denker! Appropriately, the United States Open chess tournament in Cherry Hill was won on tie-break by New Jersey resident GM Boris Gulko with 7 1/2 points. Other NJ players had plus results as well, including international masters Mikhail Zlotnikov and Dean Ippolito with 7 points. 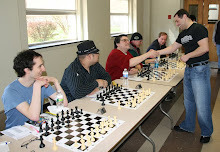 Chess blogger Atomic Patzer, who lives in New Jersey, tied for first in the Class D section. Lev Zilbermintz thinks he has found a way to defeat WGM Martha Fierro. Regarding the following game, he writes, "I dragged her into the Philidor Counter Gambit. This forced her to play against gambits, in an open position, which is Fierro's weak spot." A year ago, Zilbermintz beat the same opponent with the PCG in a game/30 simultaneous. Here the time control was four minutes for White and five minutes for Black. Morphy preferred 8...Bd6 in his celebrated game against Bird. White already stands worse because of the isolated e-pawn. Her next move further weakens her pawn structure. Now, if 28.Kg1, Black wins by 28...d4 followed by 29...Bc4. 28.Ng3 h5 29.Qe7 h4 30.Qxe6 hxg3+, White resigns. Here are the final standings for the United States Open chess tournament, held at Cherry Hill. 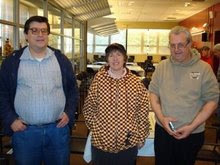 The United States Open chess tournament in Cherry Hill enters its last day with a 5-way tie for first place. Yesterday, in round seven of the United States Open chess tournament at Cherry Hill, grandmaster Michael Rohde of New York defeated Elliott Liu of California. The opening has transposed into the Pirc defense. Black plays for the two bishops with an equal position. Ceding the bishop pair would yield an advantage to White after 16...Bxf3 17.Qxf3 Qxf3 18.gxf3. 17.Bxf4 Qxf4 18.h3 Bc8 19.Nh2 Qf6 20.Ng4 Qb6?! Black should have played 20...Qh4, preventing White's next move. Now the superiority of White's knight to Black's bishop is apparent. 28.Rd8+ Kg7 29.Ra8 Rd7?? 30.Qxd7!, Black resigns. White wins a piece after 30...Qxd7 31.Rg8+! Kxg8 32.Nxf6+ Kg7 33.Nxd7. 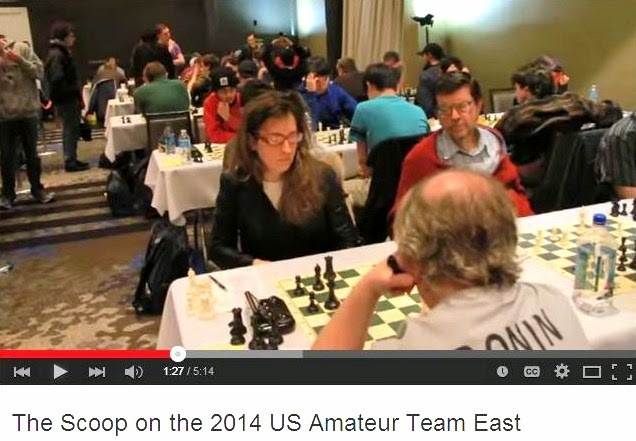 The United States Open chess tournament continues in Cherry Hill, New Jersey. Here former New Jersey state champion Tommy Bartell wins in round two of the United States Open chess tournament in Cherry Hill. White's 11th move was uncommon. Usually White plays 11.Nd4. Black's last move prevents 12.Bg5. This position is slightly better for White. Up an exchange, Black has a winning position. A pawn ahead, Black still has a winning position. Black has misplayed a won game into an inferior position. He should have swapped rooks by 41...Re5+. Even 42...h5 was still winning for Black. 52.h3 h4 53.g4 c2 54.g5 d3 55.Kxd3 Kd5 56.Kxc2 Ke4 57.Nc5+ Kf3 58.f5 Kg3 59.f6 Bh8 60.f7, Black resigns. 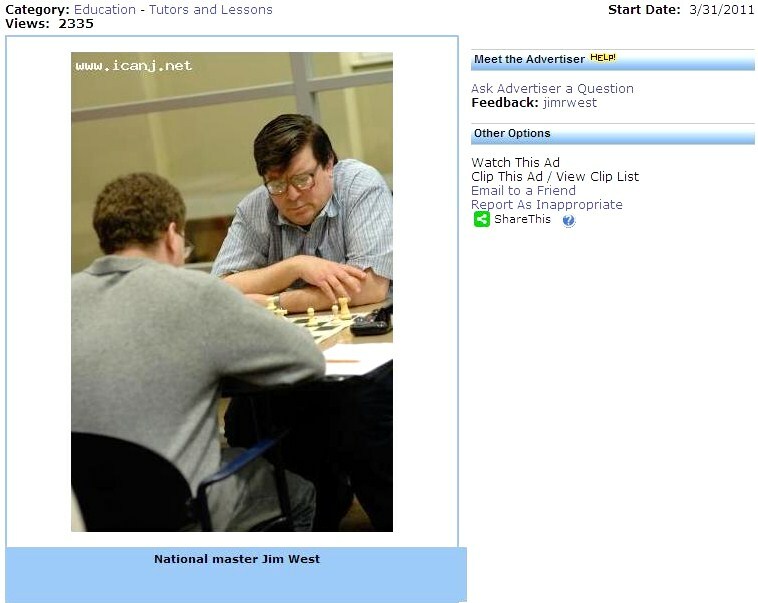 After three rounds of the U. S. Open chess tournament, fellow chess blogger Atomic Patzer is off to a good start. If this pace continues, he may want to consider a name change to Atomic Master.